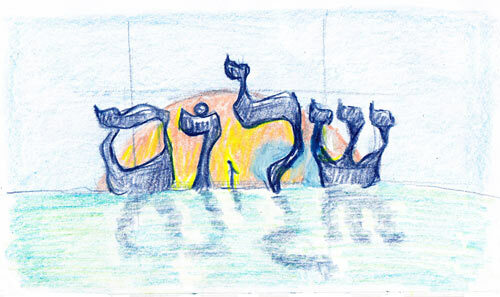 Super quick sketch for the word “shalom” in a grassy field. 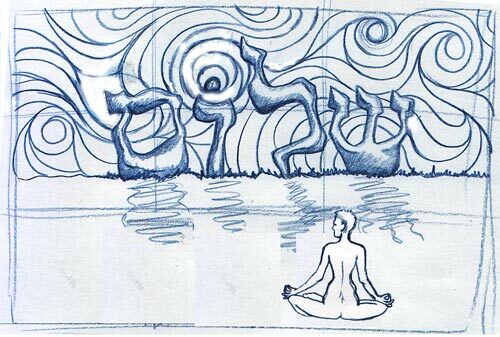 Another “shalom” idea, this time with a yoga/meditation twist. 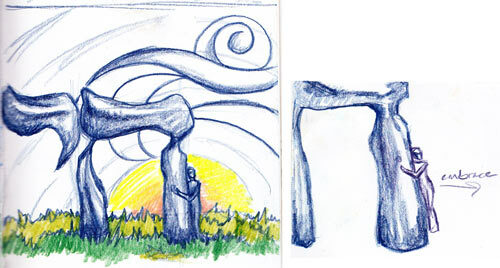 Rounding off the session with prelim sketches for the word “chai” in a grassy field.